I had a good day today. Not work, work. And certainly not getting to work, work. My 0710 arriving at 0740. Nothing like half an hour standing on a freezing platform to put your back in spasm! Thanks once again, Arriva Trains, Wales. Last shot of the day. 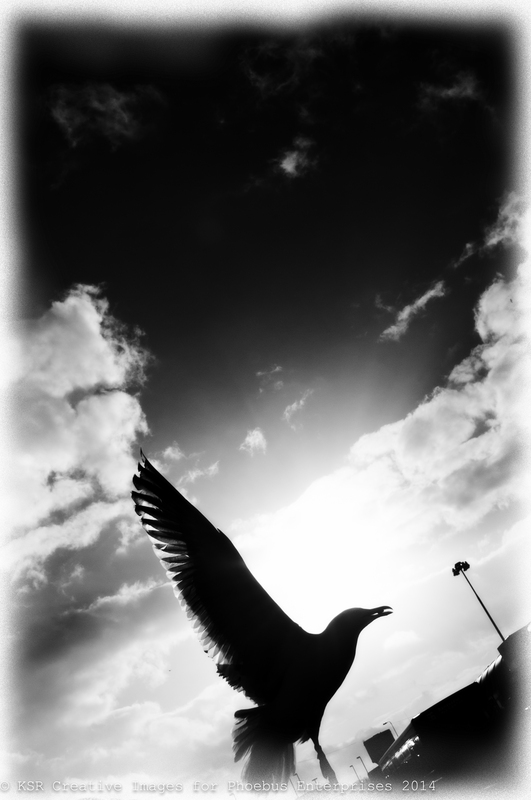 A seagull came swooped down and stole a chip and I stole a shot.